Beginners are often restless and look for quick results. Circuit training is one of the best ways to hit a number of muscles at one go. There are a number of exercises which are included in a circuit training routine, which helps in pushing one muscle group. You can rest this specific muscle for sometime and get back to it again. 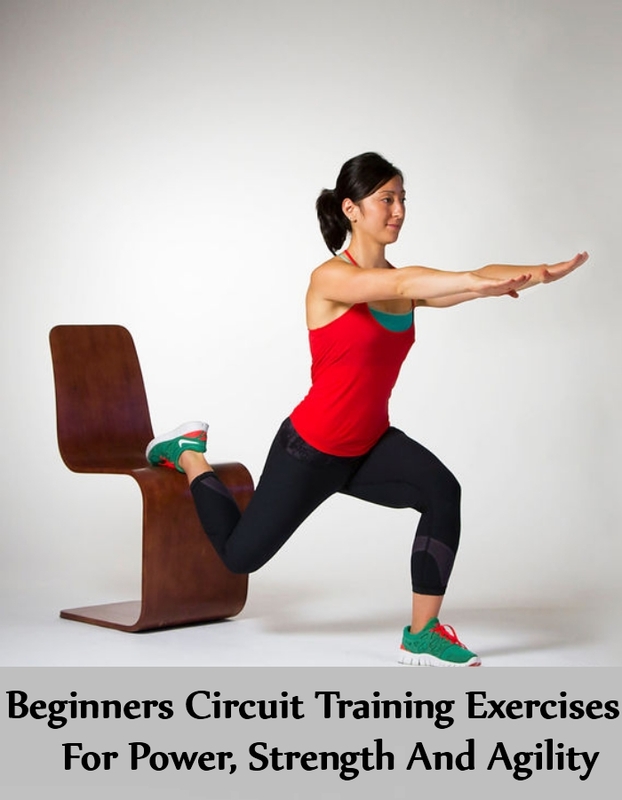 There are several circuit training exercises for beginners which help in building thir power, great strength and agility. These workouts help in toning the muscles and also blast fat from the muscles. Beginners find these exercises quite helpful and effective. You need to start this workout as you place your left foot just above the right knee. You will again place the hands just behind the head. Now, slowly move the shoulders above the kind and again twist so that you are able to touch your left knees using your right elbow. Do not exert too much as you do this position. Get back to the start position and you can repeat the workout as per the specific number of repetitions. You will again repeat the movement on your other side. You need to do this at least 8-10 times on each side. To do this workout, you will hold on to a dumbbell in your hand. You will stand as you keep your feet hip distance apart. You can bend your waist. You need to ensure that your back is parallel to the ground. Your spine shall be neutral and it should not be rounded. You will extend the arms and move them just in front. You will be bending your knees. You will keep your abs engaged as you keep squeezing the shoulder blades together. You need to bend from the elbows as you slowly bring a weight close to your torso. You will again lower the weights and get back to the start. This shall complete one repetition. This exercise is best for your upper back muscles and shoulder blades, which is specially for those who spend long hours on smartphone. Start this exercise by sitting comfortably just on the edge of a bench. Your hands shall be positioned at least hip distance apart. Keep your palms down and your fingers should be pointed forward. They need to be gripping by the edge of bench. You will be placing your heels just on another bench. Your legs shall be kept straight out and just in front of you. You will start by sliding the glutes away from the bench. Your elbows will be bent a bit. You will again lower your body as you bend the elbows and ensure that they are placed at a 90 degree angle. You will again get back to the start position. 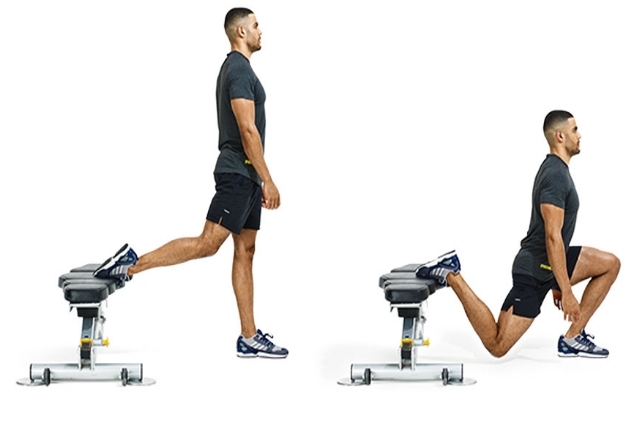 You need to repeat this movement at least 10 times as you start the workout. This exercise has an easy start position. You will hold a dumbbell in your hand and be in a comfortable position. Start in a squat position as you keep dumbbells just between the legs. You will again start movement as you stand up and keep your arms straight. You shall rotate the shoulders and your trunk close to the left. You will again get back to the start position. You will repeat this same movement on your other side. You will repeat at least 10 times as you start the workout. This is one of the best exercises which helps in building power, agility and strength, especially in case of women athletes. Are you looking forward to some real challenge? 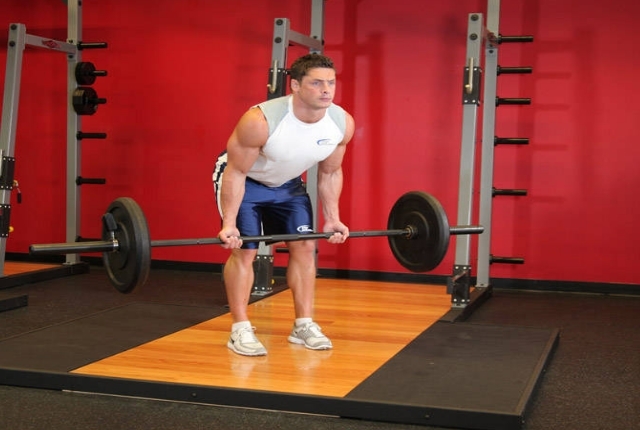 Alternating split squat is quite a challenge which helps your body in several ways. You need to start the workout with your feet, hip distance apart. You will take a left leg and then step back a bit. You will move at least two feet back, as you stand on the ball of your back foot. Keep your back and head in an erect position. They should be in a straight and neutral position. Keep your hands on the waist. You can again lower your body as you slowly bend the right hip and the knee. Your thighs shall be parallel to floor and then they will explode immediately. You will again switch your feet in air. Thus, your back foot shall be landing forward first. Before takeoff, you will be extending your ankles to the maximum range. You can do this workout at least three times in a week.